I move forward with relentless ambition. I’ve always been a huge sports fan, which plays a large role in my art. 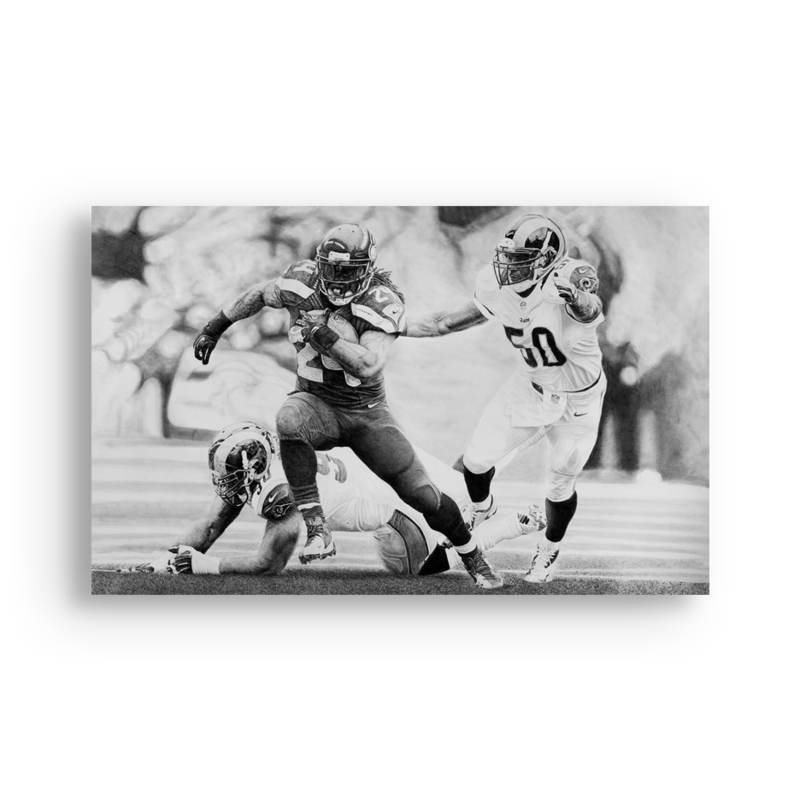 The vast majority of my art includes collaborations with pro athletes, which has been a lot of fun. Additionally, I’ve played basketball my entire life and I’m extremely competitive so I really enjoy capturing the competitive spirit of athletes in my drawings. No, since I’ve been extremely fortunate to have always had 100% creative freedom over my own work, and I’ve never had to take on projects that I wasn’t passionate about just to make money. Interestingly, the time of day that I’m most creative changes often. Sometimes I’ll get up at 5am and immediately start working on a new piece, whereas other times I prefer to work late into the evening, say, 9pm-2am. To continue utilizing my art to raise money for charity (over $300k donated in just the past few years since I returned to art). Lots more work to do! There are always exciting projects in the works! Several of my upcoming projects including working with well-known athletes and musicians to raise money for charity…. stay tuned for some big announcements! I used to be a fearful person who worried about a variety of trivial things. However, since the unexpected passing of my mother a few years ago, my entire outlook on life has changed. I no longer worry about the things that I cannot control. In fact, I spent zero time thinking about them. Conversely, if my actions can impact a particular outcome, then I move forward with relentless ambition. Having the freedom to do the activities that bring you joy while also helping others. I love the challenge of starting with a blank piece of paper and then, with only a pencil, creating something that people can emotionally connect with. For me, that is one of the most magical and rewarding aspects of art. I have many tattoos but only one of them is a quote: “Magic is something you make.” This quote can be applied in so many different ways, and it’s a constant reminder that the most incredible things happen when you decide to put forth the required effort to make them a reality. For a closer look at Keegan's amazing work and to see what he's up to, head over to www.keeganhall.com or follow along on Instagram @keegan.hall.